Almost anyone can change a tire or battery, but installing one properly takes the proper knowledge, training, and experience. At Fast T's you will receive the manufacturers recommended services that your car or trucks specifications require, and your vehicle will be fitted with an exact fit battery, or tire. Our certified automotive battery & tire technicians will properly install the correct car or truck battery or tire. We offer above industry standard warranties, as well as our labor guarantee, and a world class level of automotive customer service satisfaction, you will recieve no where else; setting us apart, and above many of our competitors. We are the home of the $50 service call. We are mobile, we are thereby able to keep our overhead low, competitively offering all of our services for the low price of $50 in the Waukee, and West Des Moines Iowa area. 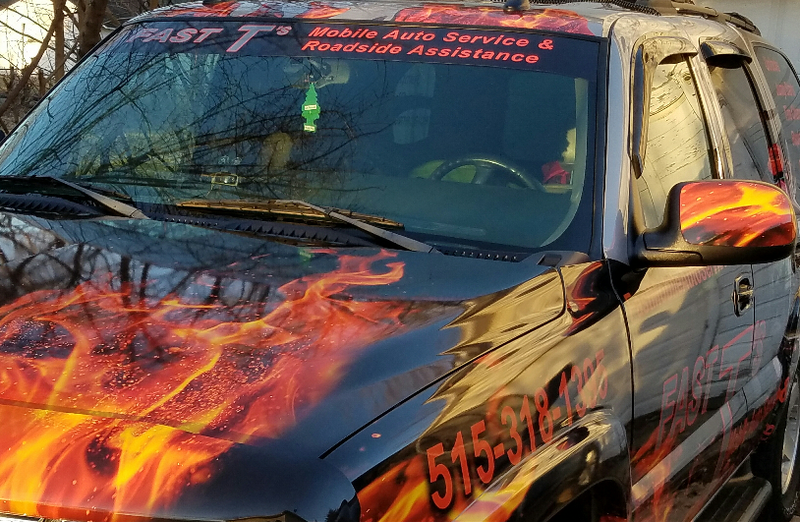 Fast T's Mobile Tire Service of Central Iowa, will quickly respond to help you with your car or truck tire problems. We have been professionally replacing, repairing, mounting and balancing tires for over 25 years; thereby giving us the hands on experience, and continuous training, as well as the proper tools and equipment to effectively help you with all of your automotive tire service needs. 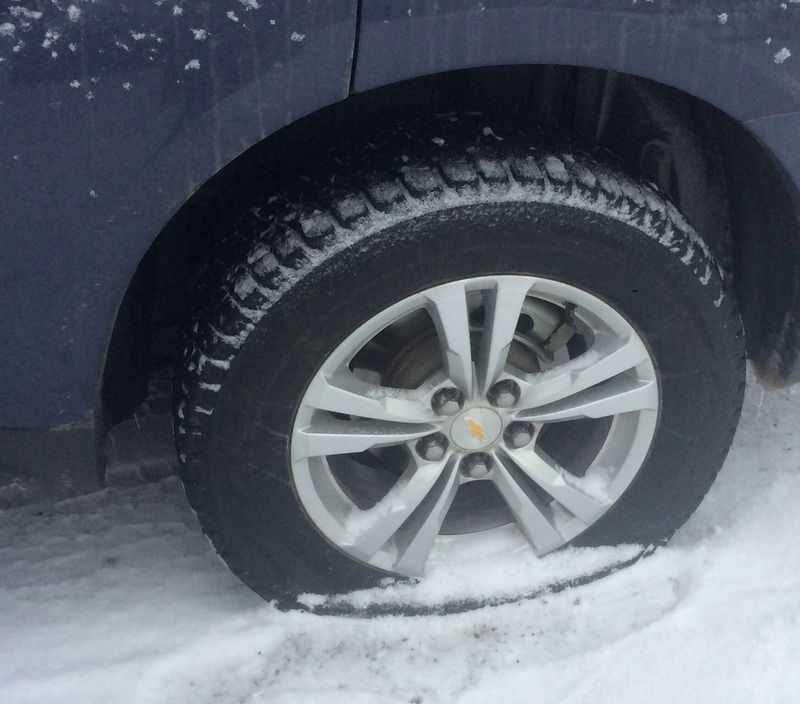 Many people have the capability of changing a tire, but to install a tire or wheel correctly takes the right training, certifications, and hands on experience. A wheel should always be torqued to manufacturer recommendations, after installing it on a vehicle to the correct foot pounds of pressure. Many people overlook this very important, and key procedure, to ensure your safety. At Fast T's your safety always comes first! Secondly, manufacturers recommendations should always be followed, they are tested and true recommendations that keep your vehicle operating safely, and correctly. 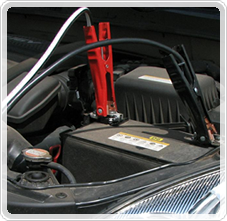 Fast T's Battery Technicians Will Quickly Respond To Diagnose Your Weak Car or Truck Battery, Or No Crank Condition. All Jump Start & Battery Services Come With An Alternator Test Included At No Charge. 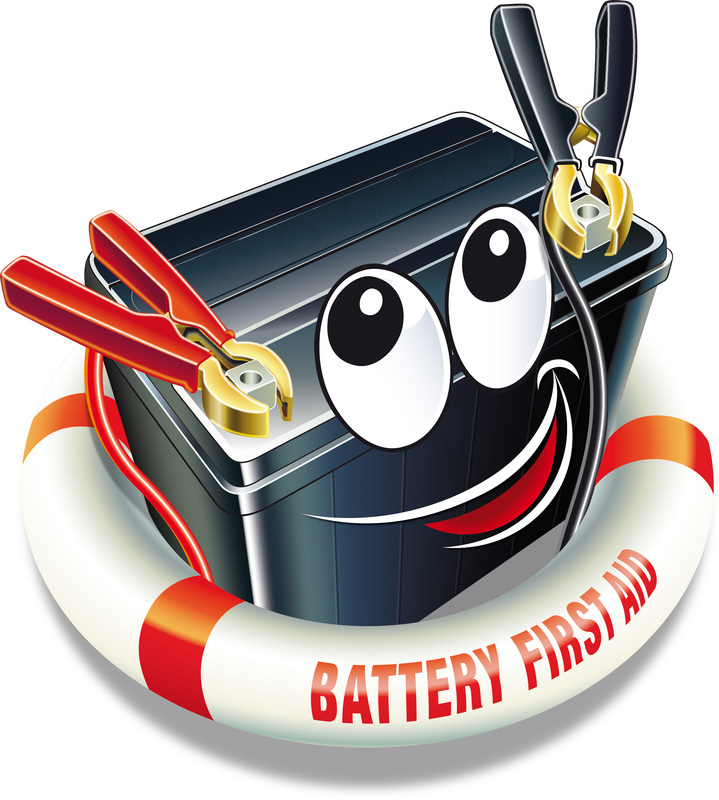 All Brands Of Automotive Batteries Come With The Given Manufacturers Warranty. Fast T's Battery Jump Start, Testing, & Replacement Service, Combined With Our Large Network Of Auto Parts Suppliers; Means Your Battery Problem Is Solved, And You Will Soon Be Having A BETTER DAY! Voltage is the most important aspect of a car or truck battery, because that is exactly what your vehicle requires to operate correctly is 12 volts. Everything is power these days, from your automobiles functions, to peripheral electronic devices such as cellular phones, and GPS systems. All of these electronically able devices are operated on 12 volts as well. This can add punishment, and decrease the life of automotive batteries significantly. This makes it more important than ever, to ensure that you have a properly trained battery technician whom is well qualified, and has the correct training; therby fitting your vehicle with the correct battery for your intended use, or the manufacturers recommended battery for your vehicle. ​Some of the many problems that can cause a no crank condition in an automobile are, corroded or dirty battery terminals, bad wiring connections, broken or frayed wiring harness which can cause resistance and may be hazardous, corroded wiring harness, insufficient ground or untightened battery clamps, broken battery clamps, bad batteries, starter motor, ignition provlems, and more. ​Although installing a battery is not a complex automotive repair, it is more important than ever, to ensure that it is installed or replaced properly by a certified battery technician.